DELRAY BEACH, Fla. (AP) — Radu Albot became the first Moldovan to win an ATP tour-level title Sunday, beating English qualifier Daniel Evans 3-6, 6-3, 7-6 (7) in the Delray Beach Open. 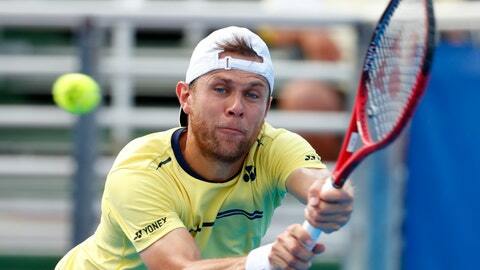 The first Moldovan in the top 100, Albot should move up to the low 50s in Monday’s ranking. It was the second final of Evans’ career. He lost to Gilles Muller in the 2017 Sydney final.